When I reflect upon the arc of my education career, I can’t help but feel deep gratitude for the tremendous privilege and responsibility it has been to teach and lead K-12 students. It’s an even greater privilege and responsibility to teach current and future teachers and education leaders. You see, I’ve dedicated more than half of my life to the noble pursuit of researching and evaluating the impact of the most reliable pathways for accelerating instructional quality and student achievement using modern methods and modern tools. But the world of today is exponentially different from the world that existed in 1984,when I first began investigating the impact of technology on student achievement. It is beyond argument that we now live in a world where agile adaptation to rapid change has to be considered one of the new indicators of success in life and work. In education, we have evolved from a world where “The Oregon Trail” was considered cutting-edge to a VUCA world where volatility, uncertainty, complexity, and ambiguity are the new norms. Have our educational methods and outcomes kept pace with these new 21st Century indicators of success? 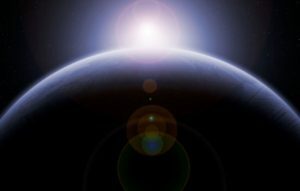 Now, more than ever, we need a Moonshot in education: A pedagogical breakthrough so extraordinary that student learning and achievement are exponentially boosted in such a way that assures our students are fully prepared for the VUCA future. But where can we find such a breakthrough? I’ve published numerous research studies, scholarly articles, and books on the subject of disruptive innovation in education (with many more to come). All of these investigations have been focused on the singular purpose of helping every student, teacher, and education leader realize their potential for transcendent learning by harnessing the power of educational technologies. By transcendent learning, I mean to go well above and beyond the expectations and limitations that bind us to the “Tell and Practice” model of instruction. In that industrial model, teachers tell students what knowledge is important to memorize, while students practice, memorize, and retrieve that knowledge on formative and summative assessments. The result of having students dutifully memorize old knowledge has been a dangerous status quo of minimum proficiency and mechanistic compliance to surface learning. Another more insidious consequence of the Tell and Practice model of instruction is a type of dependence where students are entirely dependent upon their teachers to tell them what to learn, how to learn, and how well they are learning. This is the antithesis of building agility for and adaptability to a VUCA world. But that is changing. In my book, Disruptive Classroom Technologies, I’ve synthesized four decades of research into a highly reliable pathway for doubling student academic achievement, which I call the T3 Framework for Innovation. The T3 Framework increments the impact of digital tools into three domains: T1) Translational, T2) Transformational, and T3) Transcendent. The strategies in the T3 Framework have an effect size of ES=1.6, which is equivalent to a quadrupling of student achievement. I’ll say that again: quadrupling student achievement. That, my friends, is the Moonshot we’ve been seeking. 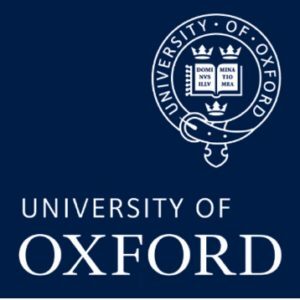 After completing a rigorous peer-review process, my research methods and findings which underpin the T3 Framework for Innovation were inducted into Oxford University’s inaugural online Research Encyclopedia for Education. To have my findings published by what is arguably the global pinnacle of scholarly research is a high honor that is both deeply humbling and gratifying. It is a testament to the gifts of knowledge I’ve gained from my students and teachers. It is also a testament to the power of imagination; the epidemic of low-impact technology use is a wicked problem that matters to me. I’ve found the solution to this wicked problem after “failing better” for 35 years—and it all began with imagining a world where student achievement is doubled. I dare you to imagine the same. Dr. Sonny Magana is an award-winning teacher, pioneering educational technology researcher, and best-selling author. 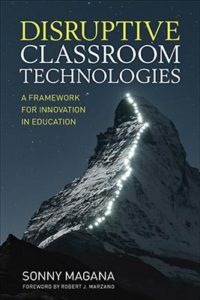 A highly sought-after speaker and consultant, Dr. Magana’s latest book, Disruptive Classroom Technologies: A Framework for Innovation in Education, introduced the T3 Framework for Innovation which has been hailed as: “A visionary work; truly insightful and inspirational!” (Marzano, 2017); “A brilliant breakthrough in our understanding and use of technology for learning” (Fullan, 2017); and, “A major step forward; Magana’s T3 Framework offers a credible, powerful, and exciting challenge; let’s do it!” (Hattie, 2018). Dr. Magana’s research findings underpinning the T3 Framework were recently inducted into Oxford University’s inaugural Online Research Encyclopedia for Education. A tireless advocate for transcending the status quo, Dr. Magana founded and served as Principal of Washington State’s first CyberSchool in 1996, a groundbreaking blended learning program that continues to meet the needs of at-risk students in Washington. He is a recipient of the prestigious Milken Family Foundation National Educator Award and the Governor’s Commendation for Educational Excellence. An avid musician, yoga practitioner, climber, and bee keeper, Sonny was awarded the Milken Family Foundation Educator Award and the Washington Governor’s Commendation for Educational Excellence. He holds a bachelor of science degree from Stockton University, a master of education degree from City University, and a doctorate in educational leadership from Seattle University. He has successfully climbed the highest peaks in his home state of Washington. Next → Next post: Hey Mister Can We Have Our Ball Back?